Beijing - Chinese people celebrated the Lunar New Year on Tuesday, an occasion for families to get together for intimate dinners and welcome the last of the Chinese zodiac's signs, the Pig. Celebrations in major Chinese cities including Beijing and Shanghai were more quiet than usual after authorities last year banned fireworks due to pollution and safety concerns. 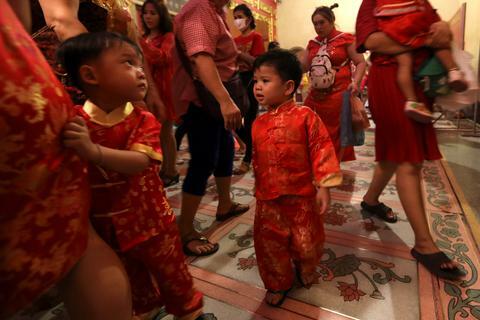 The Lunar New Year is the most important holiday in China, and hundreds of millions of people travel to celebrate it with their families, making it the world's largest annual human migration. Despite a slowing economy, more Chinese are travelling abroad during the holidays. Authorities were expecting an average of 1.77 million international trips per day this week - an 8.9-per-cent increase over last year.